Pre-K Studio | Pre-K Art Stars! Over the past couple of weeks, friends have been practicing with scissors and different types of materials to build the muscles in their hands. We began by talking about materials that were appropriate to cut with scissors, as well as materials that aren’t ok to cut with scissors. We also practiced how to use them correctly and safely. Mina: You can cut flowers in the garden if you want to have flowers in your home! Jax: I think you can cut playdough. And kinetic sand. Frances: You could cut cobwebs to make Halloween decorations. Theo: Cut tape… and string! Kennedy: Scissors might get stuck if you cut tape. Sallie Chappell: Things that are fuzzy we can cut. Jair: You can cut chicken with scissors in the kitchen. Kyrie: Hold the bottom of the scissors when you pass them to teachers or friends. Bella: Don’t cut toys. They would break. Anival: Don’t cut flowers. They are beautiful and then they wont grow! Farah: We shouldn’t cut hair. Anival: Do not cut credit cards or else they don’t see what card it is. Uhura: Don’t cut your hair. It’s not a hair salon! Noah: Don’t cut toys or they get braked. Tahj: I just got my hair cut at the barber shop… not here! Nanahi: Don’t cut clothes or they be broke and mom has to fix it. Next, friends practiced cutting paper with assorted shapes and lines provided. Depending on their age and experience, children snipped around the outside of paper, were able to cut through the paper, or successfully cut out shapes. Kyrie: I’m cutting a shape that looks like a cowboys lasso. An oval. Africa Grace: You can cut pictures out of picture frames. Like art! Betsegaw: I’m so strong. I can even cut paper! Isaiah: The circle might be tricky for me. Hey… I’m doing it! Aria: I’m focusing. I’m cutting the paper into an oval. Connor: It takes forever to cut out these shapes. Jameson: I’m getting sooooooo tired. Dayana: This kind of line looks like grass! Kaitlyn: Open, close, turn. Open, close, turn. King: I did it. I feel so good! I’m doing it. I’m really doing it! Jahir: I’m almost there. I’m doing it! Hope: I told you I could do it. I did the wavy line! Soleil: It’s so hard for me. Ava: Yeah… I cut out a rectangle. This is for my mom. Ethan: I’m so tired. Scissors are exhausted. Katherine: This wavy line is the hardest one yet. My heart was moving so fast. And then I focused a lot. And then I did it! Eva: That line looks like the top of a castle. Asa: It’s hard to cut out the bumpy line. Crystal: Open, close. I made it! Savannah: Yay! I did it! I did the square. Sebastian: Open, shut them. Open, shut them. Like the song! After friends practiced with paper, they were invited to cut playdough. Friends practiced rolling playdough “snakes” and then using dough scissors to cut them. Friends noticed a difference between cutting paper and cutting playdough right away, as both feel different in your hands. Children are very excited to finally have scissors available in the Studio and in their classrooms! Jax: I can cut playdough. Even a big piece! Jayden: I try my best. And I’m doing it! I’m feeling so the best. After weeks and weeks of experimentation with color mixing, children started working on their final color study product! Friends began by closing their eyes and imagined what it would be like if they only had a few colors in the world to paint with. Children thought about places they had been that evoked vivid memories, animals and food that they loved, and objects they have seen at school or at home. Next, friends began creating their unique colors in small plastic cups. Friends added paint to their cups until they had a color that made them happy. Once the color was just right, they painted a small rectangle with their paint that would be used for the final product. Children were able to pick the number of colors they wanted to create, ultimately ranging from 2-4. Colors were saved for the following week… stay tuned for a post about the final work! Victor: I maked black. I mean I maked grey! I’m making it! I like it! Luca: This color looks kind of rotten. Naomi: I’ve got an idea! Maybe if I put orange and yellow it will make gold. Elijah, is that how did you made gold? Sebrina: I’m ready to make mines. Let’s see if mine is beautiful enough. Amen: It made mint blue. Mint blue is very light. Dafnee: I made brown. You just use all the colors to do that. Eli: I used yellow, blue and white. Then I used a little bit of blue again. I picked them because I want to make green. I knew blue and yellow made green. Waju: I think I need a little bit more red to be happy. Julissa: Oooohhhh, this color is good! Isaac: Let the color mixing wars begin! A color mixing war is something that when everyone mixes colors together! Fatima: This green I made looks like turquoise. I like this. I want to use this color everyday. Eden: I’m making a color that nobody’s mixed before. Kwame: I made dark green. I’ve never made dark green before. I saw a juice that was dark green before. David: White paper like colors of paint! Jeylin: Mine looks like yogurt. I love this so much. Siah: I’m happy with my color. Wait, no, I’m not. More purple and now I’m happy! Katherine: I’m using all of the colors. It’s turning into rainbow colored. It’s changing to brown. Avery: I’m not happy yet, I still feel a little mad. I’m not happy yet. Now mine looks like a smoothie. I’m happy with this! Kate: This is like chocolate milk. Sammy: Close your eyes everybody, lets see what it is. Oh my god! Oh my gosh! A dark purple, I’m happy with it. Anders: I like this one… it’s blood red! Zombie red. Zombie blood red. Kourney: Look at it, I love this color. It’s purple and pink. Aurora: This color looks like cake. Elliott: I’m ready for my paper because it turned so light. Wow! It’s light orange. It only took me all these colors to make light orange. Kaleb: I’m sad about this color. I need to get some red a little bit. Isabella: This is the color I wished for and wanted to make. Amal: I like this color now. This color is amazing. Leonel: I maked beautiful colors. Frances: I’m mixing all of my colors into a beautiful paint that looks like a leaf color. I love it, I love it. Phew! We have been so busy with all this color mixing that I’m not really behind on blogging— sorry about that! A couple of weeks ago, friends began making connections between colors and feelings. To further explore this, we read My Many Colored Days by Dr.Seuss. Once it was time to start mixing colors, friends were excited to see that different facial expressions were on their paper and immediately made connections between colors and feelings. Victor: I made grey. White and black made grey. The sad face is grey. Autumn: Peach is a silly color. Luca: When someone makes you mad your face get’s red. Elijah: When someone’s making a really silly joke, you might laugh really hard and cry at the same time. I don’t know what color to make that face, though. Naomi: There’s black in the story and it was a mad page. I’ll make the mad face black. Amen: It’s making it grey. Daniel, you’re right, it’s making grey. Dark grey. You mix up all the colors to make it. Dafnee: That face feels exhausted. Eva: I make the happy face pink. It’s my favorite color. Elliott: I’m using blue for the sad face. Because blue is the color of tears. Amal: That face feels shy. And that’s a love face. This is a curious face. Nydelyn: The face with the hearts is purple because purple is my favorite color. I like purple. Cora: A smiley face with tears? I loved something so much that I cried. Frances: Heart eyes, he’s in love. Pink or red are good love colors. Elizabeth: White is confusing because then you can’t see the face underneath. Kai: I’m putting more mad. It’s getting so mad. Alden: The laughing and crying is a rainbow face. Because I said so. Eli: Look at this one. I made the sad face pink because I don’t like pink. Mileena: The sad face is red. I don’t like red. Waju: I made my mad face super duper red. Some peoples face look red when they get mad. I made it super duper dark. Jayde: Pink for heart for red for aaawwww. Love. Isaac: I’m going to make the crying face blue because tears are blue. When I see water coming from the sky it’s blue. Konone: He’s smiling and crying at the same time because he’s so happy. My mom smiled and cried at the same time because she was so happy. Eden: Yellow is for happy, for the happy face. Yellow makes me happy. And it looks like a happy face sun. Drew: This one looks silly. That’s why he’s a clown with a red nose. Kwame: He’s making a happy face. Do you see he has a beard. He has a ginormous beard. He’s a little embarrassed that he has a beard. Siah: Happy is pink like in the book. Dylan: I’m making mad. Red and blue, it look like a rainbow. Look, Siah, I made a rainbow. Because it’s beautiful. Julita: The heart in eyes is purple. Anders: I’m putting yellow and white, haha. I feel surprised about that color. Sammy: I made a wolf color for mad. Kimi: It’s like your eyebrows are like up, up, up, angry. Julian: This face is red because he’s angry. Last week, children learned about mixing tints and shades by adding white and black to their paint palette. We began by reading Mix It Up by Herve Tullet, a really sweet gift that Ms.Morris picked up for me at the National Book Fair this fall! This was such a fun book to read because it’s hands on and everyone was able to participate in changing the colors throughout the book. Friends thought it was magical and continuously checked their fingers to see if the paint really left the page and was on their hands. Cameron: The book is magical because it made different colors. Some colors disappeared. Frances: 1,2,3,4,5…. * gasp * it made my hand. Wait, it’s not on my hand. It’s magical! It’s mysterious because it didn’t get on my hand but I could still change the colors. Mateo: There’s a lot of colors on that page. Trebor: 1,2,3,4,5… all the colors went on my hand. But there’s no paint on them. Naomi: This book as magical. I like when we got to put our hands on it. Felipe: The book was beautiful. Anders: The book is magical when you smushed the book together and it made grey. Next, friends began mixing their own colors and have started to really draw connections to the colors they make and objects that they know. Brandon: A little bit of blue and a little bit of red, let me see what happens. Looks like pink like the ice cream. Elizabeth: How you make the light blue? Wait, actually you tricked me, it’s blue grey. Luca: Look, I made light grey! More white makes it light. Siah: This one’s my favorite. It’s peach pink. Elliott: Look what we both made. Red and black. Eva’s is lighter because of the red, and mine is darker because of more black. Mine is darker than Eva. Eva, look how dark mine is. Kai: I think I’m gonna make pink. I made pink! How do I make pink darker? Phoenix: That looks like ketchup and mustard. Autumn: My hand is hurting because I keep painting. Drew: Yellow and red, wait, wait, wait that’s not right. Yellow and blue makes green. Dylan: Red, for Mater. I use red. Isabella: Snowy blue. Just like Elsa made with her powers. Katherine: I used red, white and yellow to make pink, light pink. Ali: A magical colors mean it has green. Kimi: Wow, I mixed it… I did it! I didn’t feel scaredy. Waju: White will make it light, black will make it black. Elijah: That color looks like honeycomb. Gionni: My palette is filthy. Amal: If we put all the colors and put it here it makes grey. I hoped it was rainbow. Not fair, it’s grey. Avery: Magical colors coming up! Jax: *gasp* it turned play dough red! Konone: Silver! All the colors made silver. Nazeer: This looks like a toothbrush. And the paint is the toothpaste. Amen: You can do light pink with I don’t remember, oh yeah, white and red like this. For the second week of our color study, friends mixed colors using primary (red, yellow, blue) and secondary (orange, green, purple) colors. 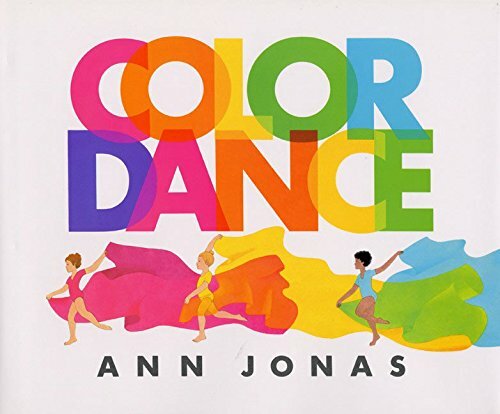 We began by reading Color Dance by Ann Jonas, which gives really great visuals for how colors mix and change… especially highlighting that all colors mixed together make grey or brown. Next, friends began mixing colors on their individual palettes and shared with friends what they noticed and wondered throughout the process. Autumn: What did I make? Red! But what kind of red? It’s yellow red! Gerson: I made brown. No, this is purple. Phoenix: I made two purples… like twins. Luca: Purple and yellow together made a dark yellow that looks like a rotten banana. Naomi: Wow, this is a new color. It’s so new that I don’t even know the name for it. I guess I can call it yellow gold. Elijah: I made a special color. It’s called violet jam. Nazeer: I’m holding the palette in my hand like I’m an artist because I am an artist. Daniel: Red like the lobster. Red lobster. Brandon: Let me see what happens. I used all the colors and see, it made brown. Leonel: This color is called dark rose. Frances: I think I made grassy green. And this kind looks like cactus green. Elliott: On sunny days, I want to be cooled down. On cold days, I want to be warmed up. I’m going to make a color to make me really warm. A color like the sun makes me really warm, I used yellow and orange to make that. Isabella: Does anyone know this color? It’s a dark stormy color. Cora: I’m mixing Christmas-y colors. It made purple brown. Trebor: I mixed a little bit of orange and a lot of green and it made monster green. Elizabeth: Look look look what I made, it’s garbage green. Mileena: This color is like the clouds. Like outside the window on those clouds. Gionni: What happens if I put a little more green on the blue… it got lighter! I put more blue and now it’s darker. Eden: That’s how real artists actually do when they paint on the walls they hold the palette. David: What color this is? Blue. Yes. Siah: Let’s see how it changes. Orange, I got orange! Uhhhh, I used red and orange. Avery: I’m making black. But I’m not finished yet, I’m still making colors. Anders: Let’s see what happens to this. It made green. I made light green and dark green. It looks like trees. Jax: Some red and some yellow, mix the colors and now let’s see what happens now! It turns to an orange with…. Blood! Julian: Mater is brown and McQueen is red. Joelle: I’m gonna mix two colors. Not a lot of colors, just two colors. It looks like green beans, right? Last week, friends began learning about colors and color mixing as we kicked off our long-term color study! 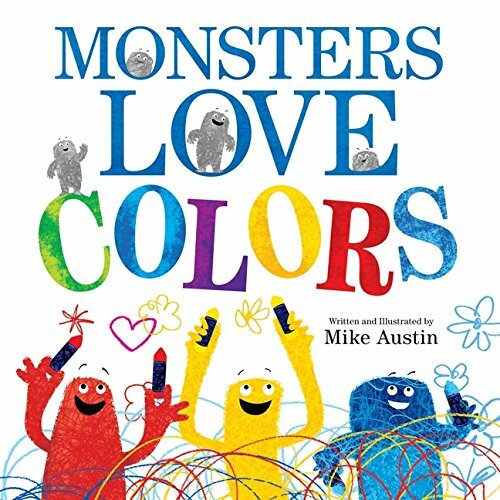 We started by reading Monsters Love Colors, a very silly book that introduces colors and color mixing to young children really well. Daniel: Red monster! Blue monster! Yummy colors! Elizabeth: I can’t wait to mix so many colors for the monsters. Felipe: Will red, yellow and blue make a rainbow? The monsters will be so happy! We made new colors, too. Next, I introduced some new materials, such as a palette. Children learned that palettes are a tool that artists use for mixing colors. They were very excited to hold it in one hand and their paintbrush in the other. For the first week, each palette was prepared with the primary colors (red, yellow, blue) for children to mix new colors with. Leonel: We’re going to paint with Colombia colors… red, yellow and blue. Sebrina: A palette holds the paint. It’s important. Finally, it was time to paint. Children began mixing colors that they thought the monsters from the story would love! Autumn: Look at how I made it… I mixed red and blue and it’s purple! Phoenix: That color looks like the color of Ethiopian food. My mom likes that food! Luca: Red is the color for love. Dafnee: Daniel was right! Red and blue makes purple! Brandon: I’ll mix red and blue and let’s see what happens! Isabella: How did you make that kind of purple, Elliott? Does it have more blue or more red? Cameron: I mixed all the colors… let’s see what happens! How come when I did all the colors it made brown, not rainbow? Nydelyn: I made red, like a strawberry red, because I like them. Trebor: I want to make rainbow. Wow, I did it actually! It’s because I’m an artist. Cora: I can’t believe red, yellow and blue can make all of these colors! Frances: I made turquoise with a lot of blue and a little yellow. Now look, when I put a lot of yellow and a little blue it makes light green, like slimy green. Bella: I made the color of ducks! Elizabeth: When you mix colors, the paint is loud. When you paint, the brush is quiet because it’s busy. Waju: I made dark green! Now I have two types of green. This one is darker because it has more blue in it. Eli: I made green because I thinked about it and remembered that blue and yellow would do that. Kwame: I mixed all the colors and it made brown. Siah: I made tropical blue, how did I do that? Katherine: Blue and yellow I told you made green. Anders: I was right… red and yellow did make orange. Joelle: A little bit of yellow and a little bit of blue makes a little bit of green. Sammy: I need to take a little break… mixing colors is making me tired! Last week, children were introduced to “Beautiful Junk,” which are recycled materials that we can reuse and repurpose in the Studio and in PK classrooms. Families received a letter asking for donations and were invited to drop off bags of materials in the bins outside of the Studio. Please continue to donate and fill our bins throughout the year. By the end of the week, bins should be labeled so that families can sort their materials for us to use! 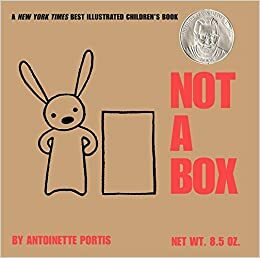 We began by reading Not A Box by Antoinette Portis. This book is great, as it’s all about a rabbit that uses a cardboard box and his imagination to create a race car, a pirate ship and a robot costume. Following the read aloud, I brought a large shoebox to the table and children made predictions about what they thought was inside. As I began to reveal the items, children instantly made connections to the book and were overflowing with ideas of what the materials could be used for. We talked about what they were (can, blackberry box, cork, water bottle top) and about what material they were made from (metal, cardboard, plastic). This will make sorting and labeling the bins easier next week! Phoenix: My daddy has shoes from a box like that. Waju: I wish Mrs.Hughes was here to see this special box. She likes treasure boxes. Autumn: This is a thing for eggs. It’s a really special box. It protects them. Amal: The rabbit would like all the Beautiful Junk. It would be like a beautiful present for him. Trebor: We could use this junk to make a collage. Eli: You can use the materials to make a plan. Mariyah: It’s a shoebox. I want to sit in it. Elijah: It’s metal! It clashes into metal and that’s what makes the sound. It’s shiny and good to play with. Did you know a magnet sticks to metal? Waju: Beautiful Junk is if you’re at a scrap yard and you find junk and you think it’s good and you want to make something with it. Isaac: Junk is like… dirty things. Eden: This Beautiful Junk is amazing! Ali: It’s so very yuck. Jax: That’s a thing for babies (fabric)… like Pampers. Luca: When I blew it (packaging peanuts), it flew all up in the air. It flies up all by itself. It mixes up and goes up and out. Amen: Maybe cats would like these (corks). It looks like it came from a tree. Elliott: That’s fabric for making a curtain. Isabella: Beautiful Junk is what you use to make something cool. Alden: That tube looks like a dough roller. Elizabeth: It’s things for sauce (small cups) … like for ketchup. Eva: It (corks) smell like candy and looks like a roly poly because it’s round. Cameron: I saw so many junk in the hallway. After children were familiar with the materials, I invited them to openly explore and build with them in the sensory table. Friends collaborated and enjoyed creating new objects together. Autumn: Let’s pretend the straw is like a magic wand. Turn Ms.Cushner into a… frog! Luca: Shiver me timbers… I’m a pirate! Nazeer: I want to make a dump truck. I need cardboard to do that. Frances: Hey, that fabric is from my house. Junk is ew… but if it’s Beautiful Junk, then it’s fancy! Trebor: The straw is like a wand. Abracadabra… turn my grandma into here! Mariyah: We love you, Beautiful Junk! Naomi: Those are tops for wine, but you could use them to make a treehouse in the woods. Kai: Ah! Stuff can fall out of the bottom of it (toilet paper tubes). Belen: These look like cupcake cups. I’ll make blueberry cupcakes. Yuri: I’m a skeleton with tubes on my arms like the bones. Frances: The ribbons are like dancing strings. Please continue to donate Beautiful Junk for us to build with throughout the year! Autumn: Scissors are dangerous for babies. Diego: My mom, she cut my hair. Not cut hair in here. Isabella: Go to like, a hair salon or a beauty salon for a haircut. Nydelyn: You could cut plastic with scissors. Eli: I know, you can braid your hair but don’t cut your hair. Trebor: If you cut your finger it’ll so hurt. Eden: We could cut fabric and flint. Drew: We could cut pictures of cars. Frances: We could cut ribbon! Samantha: We could cut crabs so we can eat them. Kwame: Scissors are so powerful. They really can’t stop paper! Gionni: We have scissors in our class, that’s why we know how to use them. We can cut our drawings out. How can Isaac cut so good when he’s 3? Good job, Isaac! Stephanie: I did it. I’m happy. Joelle: Good job, Joelle. I did a good job! Bella: I did it! My first time using scissors! Jax: If you can’t do it, you just practice. Aurora: These scissors make a big mess with the paper. Kimi: Open, shut, open, shut. You did it, Anders! Elliott: You could make a truck with these shapes. Nydelyn: I’m practicing so I get better. Mileena: I could make a unicorn with this shape. I like scissors. I like cutting things. Katherine: I cut the diamond! Leonel: Open, shut, open, shut. I love cutting them small so they are small like babies. Jax: Cut the snake? I don’t want him to be dead guys! Torin: Cutting the playdough feels like snow because it feels squishy. Brandon: Ouch, poor little snake. I cut the big snake to make little snakes. Julissa: It’s so harder to cut playdough. Eli: I’m pretending to give the snake a haircut. Anders: I can roll a snake. I can roll a ball. I can cut a ball. I can cut a snake. Eva: It’s soft to cut playdough. Sorry snake, I don’t want to cut you but I’m practicing. Elizabeth: Playdough is harder to cut than the paper. Mateo: The snake broke and now there are two! Frances: I’m cutting the snake up because he’s poisonous. I’m cutting you up forever! This was the first week that children came to the Studio for art groups, and we had an absolute blast! Friends had many questions about the space and materials which made for enthusiastic and busy art groups. Mariyah: Who’s making that sound over that wall? Belen: You got a new carpet? And an easel? Wow! Yuri: I hear Ms.Holmes. Is she in that white box? Dafnee: I wish there would be a wall so it’s more quieter. Kaleb: Is this your house? Brandon: You have a dee-doo dee-doo in your room for the fire drills. Elliott: You got a new rug just like our class! Nydelyn: Your bell sounds like the tooth fairy. Alden: Hey, that’s my classroom over that wall! Eli: Why you got two boards now? Gionni: This is like a tiny paint… stadium! Kwame: That’s Mister Skinny Legs skin… do you remember him? Frances: My very first time in this room! There’s rainbows in here and now I’m turning into a rainbow! And seashells! And a magical sink that makes a “bump bump” sound. Anders: I just stepped on a rainbow! It was on the floor. Now it’s on my pants and my pants are actually my pajama pants. Julian: I love it in this place. At the front table, children were introduced to liquid watercolors and used them to fill more pages of their sketchbooks. We discussed mixing on the paper (not in the jars… for now…) and how to safely use and pass the glass jars. Luca: Glass breaks when you drop it. Amen: I’m putting the brush in the green. It stays green that way. I’ll put the red on top like an experiment. Mateo: Don’t break the glass so you don’t get a cut. Isabella: Pass it gently and keep it away from that edge of the table. Naomi: Are the jars made out of concrete? Amal: This is red like red blood on the bandaid. Trebor: Phew, this painting is hard work! Jax: Don’t hurt the brush. Don’t bang it or the brush will die. Elizabeth: This brush is big, but the one in the pink is small. Isaac: I can’t believe it… I’m painting with blue! Once children were done painting, they could self select from the other centers in the Studio. This week, friends could use markers at the back table, draw and erase at the easel, or build with shape and color puzzles on the carpet. Katherine: Let’s do this together because the board is really, really big. It’s an ice cream cone with chocolate chips. Welcome back to the school, friends! After a summer filled with travel, art-making and lots of time to relax, it feels great to be back in the PK Studio and kicking off year 5! I’m so excited to continue to work with PK4’s and to begin working with the new PK3’s this year. During the first 3 weeks of school, I joined children in their classrooms and introduced materials at their art centers. We worked with crayons, oil pastels and finally… tempera paint. I also introduced Studio Sketchbooks for the first time, which will help compile all of their art work from the beginning of the year. They will take their sketchbooks home at the first conference day! Next week, children will begin coming to the Studio for art groups… and I’m beyond excited 🙂 Below is a snapshot of the beginning of the year work in their sketchbooks… enjoy! Kimi: This says K-I-M-I. It’s my book! Samantha: This is not Josie’s? This is mine? This is my notebook? It’s not Josie’s, it’s mine? My sketchbook? Dafnee: Like your sketchbook? Now I have one! Brandon: I don’t like the paper on the crayons. I got to see all the colors. I need to put the paper in the trash. Now everyone can see the colors! Isabella: When you drag pastels on the side it looks like a rainbow. I love being here at the art table. It’s so relaxing. Amal: When you blow on it, the oil pastel doesn’t go away. Jax: Pastels make your hands dirty like a monster. I want to keep drawing. Torin: My fingers got messy too. Just like Drew! Elliott: Hear that scratching sound? That’s called rubbing. Aurora: It feels good. They roll. I can roll it fast. Frances: I miss crayons, but these pastels are funny. Eva: Julia’s hands turned green like an ogre. Belen: Messy, messy, silly messy. I love doing messy. Siah: What should you call this color? I’ll call it rainbow water! Throughout the week, we have been using different sized brushes to paint with tempera. Children also practiced putting on smocks to protect their clothes. Friends mixed colors in their sketchbooks and are really excited to have paint open at their easels soon! Kaleb: The smock is covered in red paint because I have red paint on my hand. Gionni: Did you know blue and yellow makes green. Jax: Yellow, yellow, who do you see? I see pink looking at me! Pink, pink, who do you see? I see red looking at me! Luca: The purple paint covers the brush like magic. Isaac: What do you think of my painting? It’s footprints! Amen: When this fat brush goes in the yellow, it turns to brown. I want to show all of my family. Torin: Blue and yellow made a green person. Guys look, it’s so mixed up. Nazeer: I spin the red in yellow. It’s orange!